Glimpse gallery at the Marriott Library, Monday December 7, 2015. On the fourth level of the Marriott Library you can find a literature display where the books aren’t just there for you to read — they’re the artwork. As part of the 2016 Books Art Program, the “Glimpse” exhibit shows off the talents of course instructors for the upcoming year. Books on display have been constructed in a myriad of ways, such as accordion-looking pop-up books and multilayered prints. 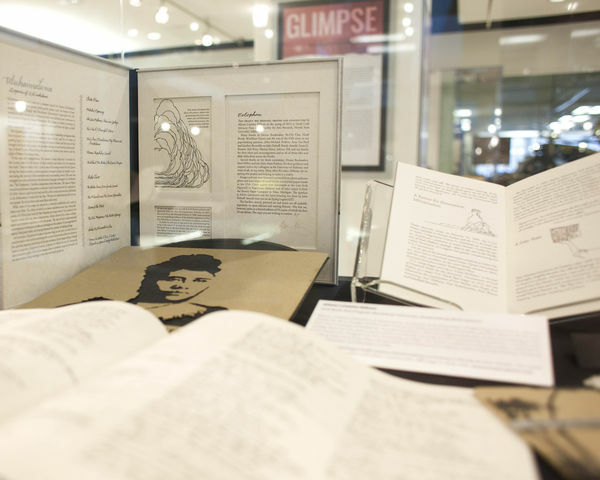 “Glimpse,” which runs through Jan. 29, features book- and print-related artwork by local artists and others around the nation. 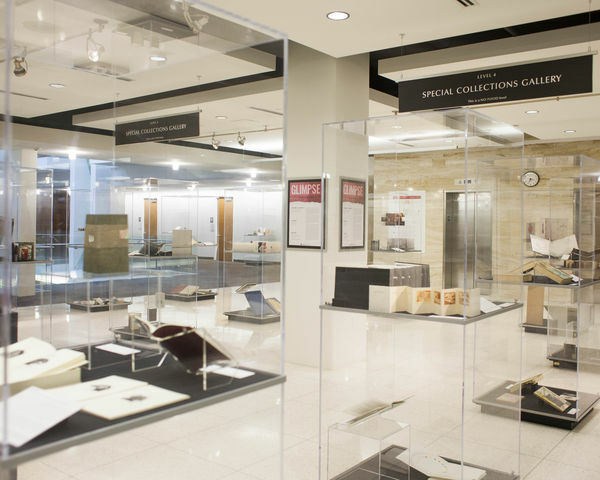 The exhibit displays everything from hand leather binding to Japanese wood cut printmaking. Instructors for the 2016 Book Arts Program include four U staff members and 10 outside artists. Each glass case features artwork from the instructors on the top portion and pieces by other artists demonstrating similar techniques on the lower half. “We’re trying to give a sneak peak to our 2016 workshop series,” Milham said, whose work is included in the exhibit. 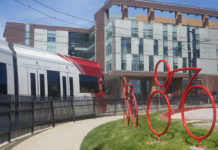 Workshops offered through the program typically run for two days, but range from single-session classes to courses that occur over multiple days. An average two-day class runs anywhere from $200 to $300 for materials and covering instructor costs, but a recent grant from the National Endowment for the Arts has made it possible for the Book Arts Program to offer some workshops for free. “Our goal is to reach folks who haven’t had the opportunity to take a class before to come and try it out,” Milham said. This year, the program is offering “Drop In and Print” sessions designed for entry-level participants. The group also plans on extending their community outreach. Along with upwards of 12 public workshops, they are working with local K-12 schools to teach kids about the history of certain rare books. 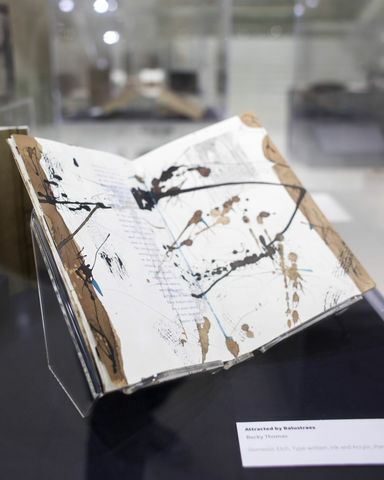 The Book Arts Program, which began as part of the Rare Books Division but has since become a separate entity, still works to display the rare manuscripts. “Many of our books are on display in the ‘Glimpse’ exhibit,” said Luise Poulton, managing curator for the division. For more information regarding the “Glimpse” exhibition and the Book Arts Program visit: www.lib.utah.edu/collections/book-arts.